New York, Mar 24 (Just News): A New York City man was convicted Friday of first-degree murder for the broad daylight killings of a Bangladeshi Muslim cleric and his assistant. A state supreme court jury convicted Oscar Morel, 37, in the fatal shootings of Imam Maulana Akonjee and Thara Uddin, his friend and assistant. The men were shot as they walked home following prayers on August 13, 2016. Morel, of Brooklyn, was convicted following a nearly three-week-long trial. Jurors deliberated for about a day and found Morel guilty of one count of first-degree murder, two counts of second-degree murder and one count of second-degree criminal possession of a weapon. He faces life in prison without the possibility of parole when he is sentenced April 18. Some in New York City’s Muslim community called the attack on the two Bangladeshi immigrants a hate crime, but prosecutors said the killer’s motive was unclear. Afaf Nasher, the executive director of the New York chapter of the Council on American-Islamic Relations, released a statement on behalf of the victims’ families expressing gratitude for the conviction. Prosecutors said Morel approached 55-year-old Akonjee and 64-year-old Uddin from behind as they left the Al-Furqan Jame Masjid mosque and shot them both in the head. The victims were rushed to a hospital, where they died. Morel was arrested the following day after police connected him to a hit-and-run crash near the shooting scene. Prosecutors said the police ballistics lab linked a .38-caliber revolver recovered from Morel’s basement to the shootings. Morel denied involvement in the killings. 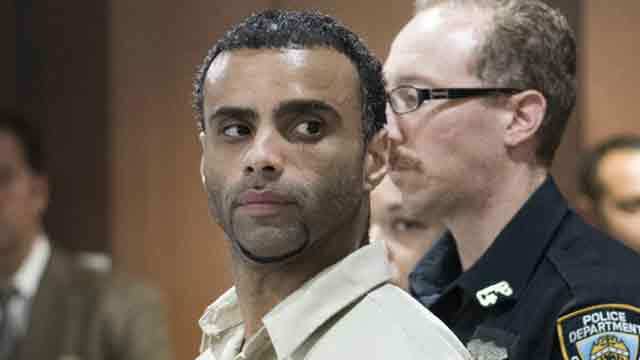 The New York Post reported that defense lawyer Michael Schwed told jurors during the trial that police had planted the murder weapon in Morel’s home. Justice Gregory Lasak instructed jurors to disregard Schwed’s remark.